SINGING ROCK supports and invites you to OTDL CUP 2016, the Polish championship in rope access and industrial climbing which will take place at the weekend 5th - 7th August 2016 in Centrum Technik Wysokościowych ROJAM at Siennicka 25 street in Gdańsk, Poland. 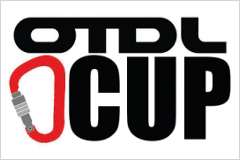 OTDL CUP 2016 is a competition whose goal is to promote safe rope access techniques, high standards of work at height and consolidate rope access technicians environment. The Polish championship will be pitted in teams formula, in which rated will be work precision, speed and manual skills used in every workday of rope access technician. Cooperation skills between technicians will be rated as well as communication and instant decision-making. In competition will take part whole environment of polish “industrial abseilers”, moreover we expect a large audience.